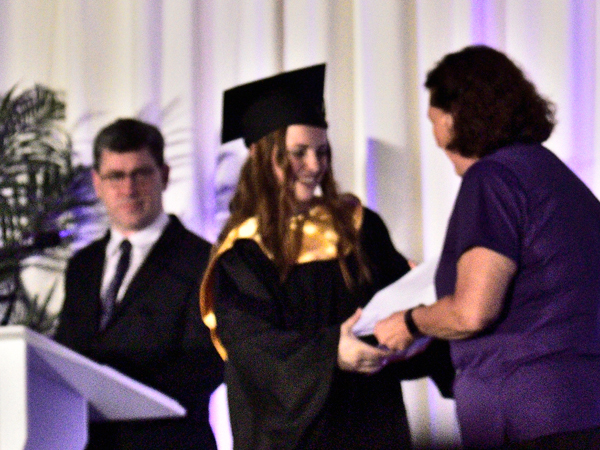 Uxbridge Lions Service Scholarship Award - Winner Eliana Busse. 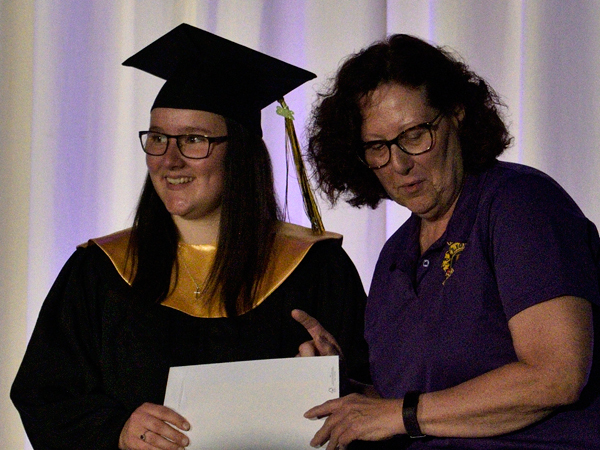 The Service Scholarship was presented for the first time this year to a student candidate exemplifying service to the community throughout her high school career and even earlier. There were four wonderful candidates. Uxbridge Lions History Award - Winner Ms. Emma Runnalls. Dr. McMullen received the Helen Keller Award for his work providing Lions with over 10000 pairs of eye glasses since he began in 1992. 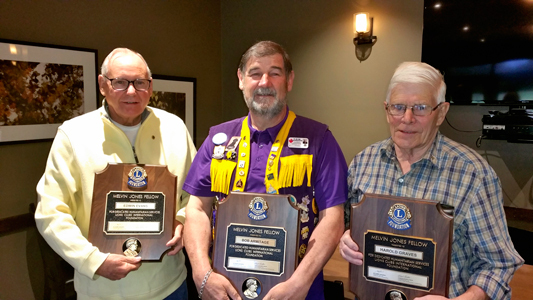 Lions Harold Graves, Ed Evans and Bob Armitage received the Melvin Jones Fellowship and Pin for many years of selfless dedication to the work of Lions. Congratulations! 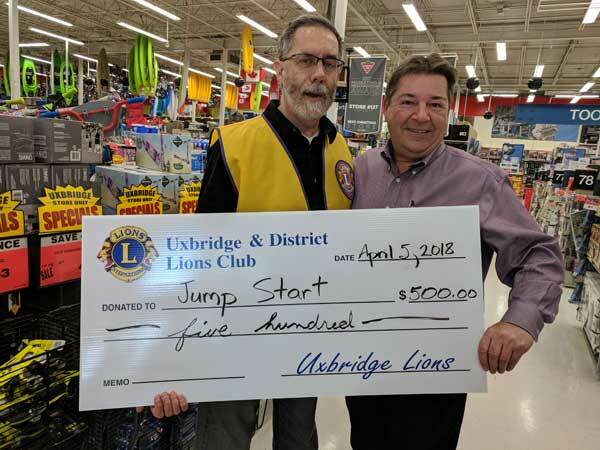 Pat Higgins, owner Canadian Tire Uxbridge received a $500 cheque for Jumpstart April 5, 2018 from Uxbridge & District Lions. Lion President Jean Doucet and Pat Higgins, owner Canadian Tire Uxbridge. On March 24th 2018, our members worked hard and had lots of fun providing 400 pancake breakfasts to adults and children from Uxbridge. Our day was an enormous success, exceeding the funds raised in 2017 while accepting payment by donation rather than with fixed ticket prices. 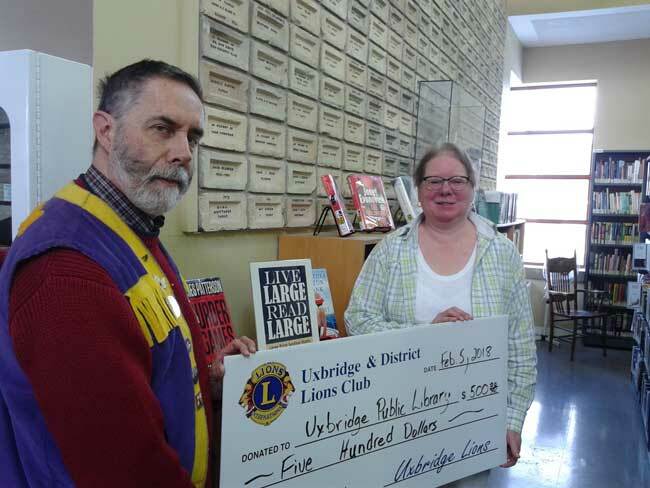 Lion President Jean Doucet presented a $500 donation toward the Uxbridge Library's Large Print Books program February 5th 2018 to CEO Alex Hartmann. Lion President Jean Doucet and Uxbridge Public Library CEO Alexandra Hartmann. 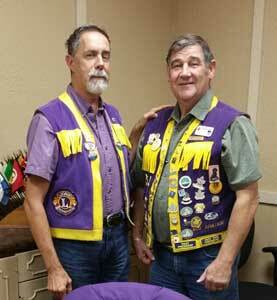 New Lion Greg Kearns was officially inducted to the International Lions Club on December 9, 2017. The ceremony was officiated by District Governor Lion Tim Cheung. 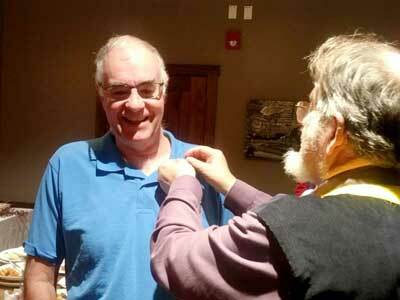 NEW LION GREG KEARNS IS PICTURED RECEIVING HIS PIN. On Saturday June 10th, 2017 the New Executive Officers for the Uxbridge & District Lions Club was officially installed. Lloyd Clifton led the ceremony. Bob Armitage - Immediate Past President, Rick Carlstrom- First Vice President and Membership Chair, Cathy Boone - Secretary, Jean Doucet - President, Lloyd Clifton - Past District Governor. Eric Nidd continues as Treasurer. 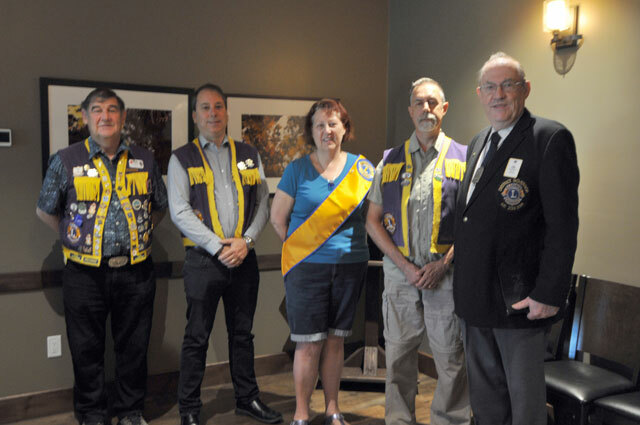 New Executive Officers for the Uxbridge & District Lions Club. 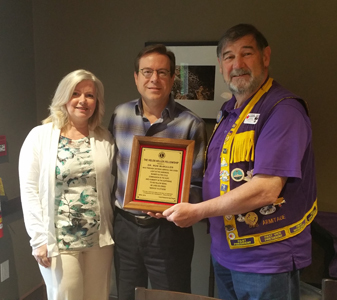 Uxbridge & District Lions Club president was presented with a key pin in recognition of having successfully opened the door of Lionism to at least two individuals.